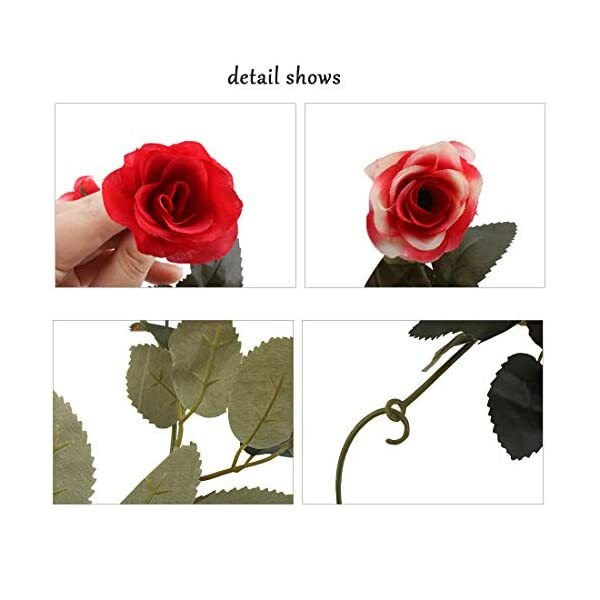 Artificial mini rose Flowers will never to die and remains just as fresh-looking and beautiful all the time. 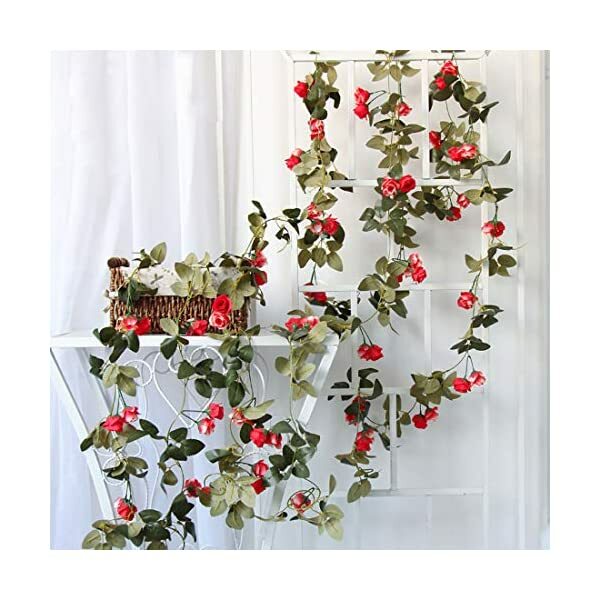 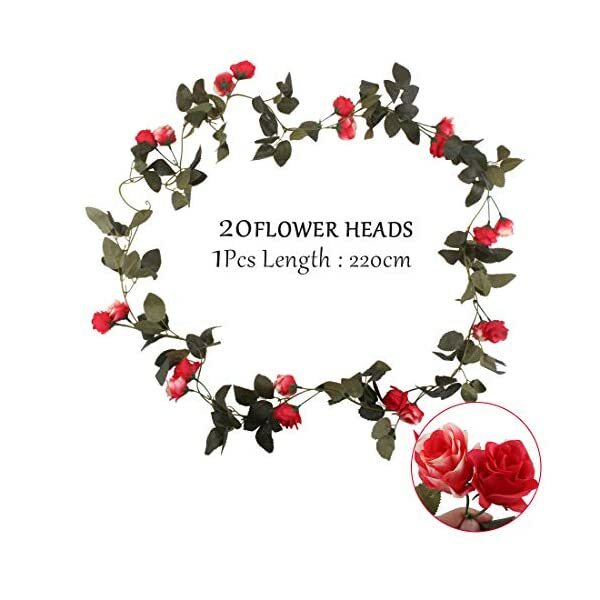 Each one flowers vine Total length:165cm/64.96in .Diameter of the Big flower head: 10cm/3.93in approximately. 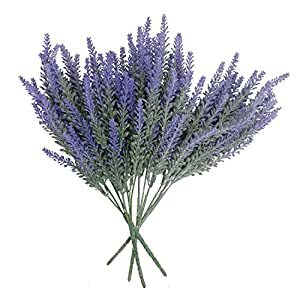 Fully and soft flowers,Natural-looking. Materials:Rose Flower head made of High quality Silk, plastic pole, inside with wire,flower middle wire rod, can be bent shape or prune. Please note: As a result of the size, we need to bend it so as to pack,it may be bended back simply. 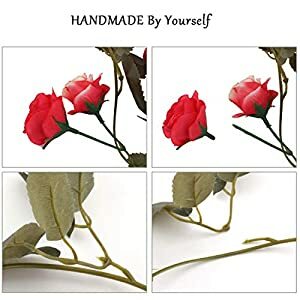 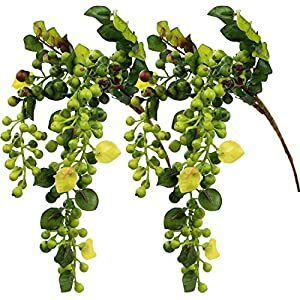 The stem of artificial flowers may also be adjusted its length in keeping with requirements: Bended and pruned for shorter; Graft branches or put into newspaper or stone in vase to extend pad height. 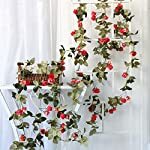 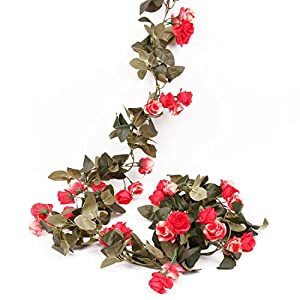 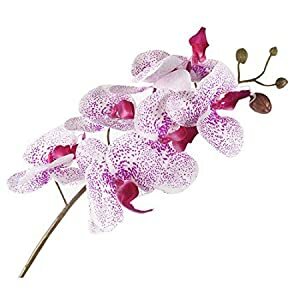 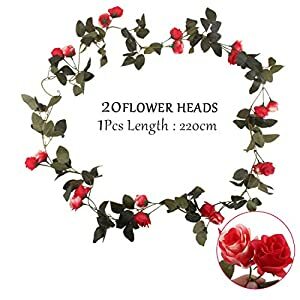 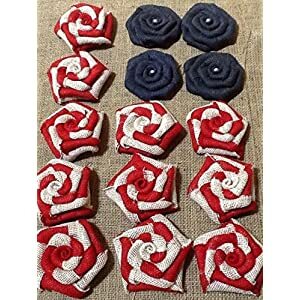 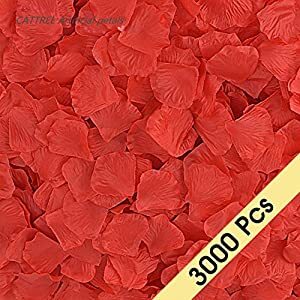 Artificial flowers could also be squeezed and deformed in transit, but it’s going to be get better with slight adjustment after displaying it.You’ll also use boiled water to smoke deformed flowers,use the hair dryer with cold wind to dry it. 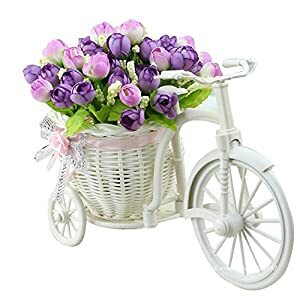 There would be accumulated dust if you happen to put it in a spot for very long time, we recommend that you do not want to wash it by hands and do not wash too regularly. 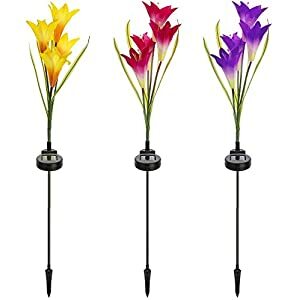 You’ll use the hair dryer with cold wind to take away the dust. Artificial mini rose Flowers will never to die and remains just as fresh-taking a look and beautiful at all times. Every one flowers vine Total length:165cm/64.96in .Diameter of the Big flower head: 10cm/3.93in approximately. 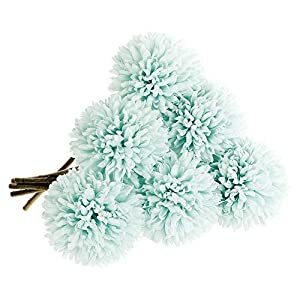 Fully and soft flowers,Natural-taking a look. 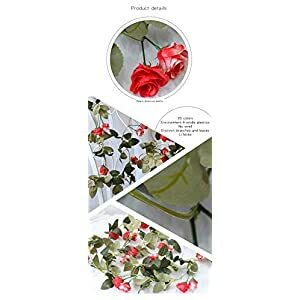 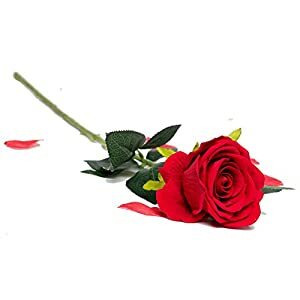 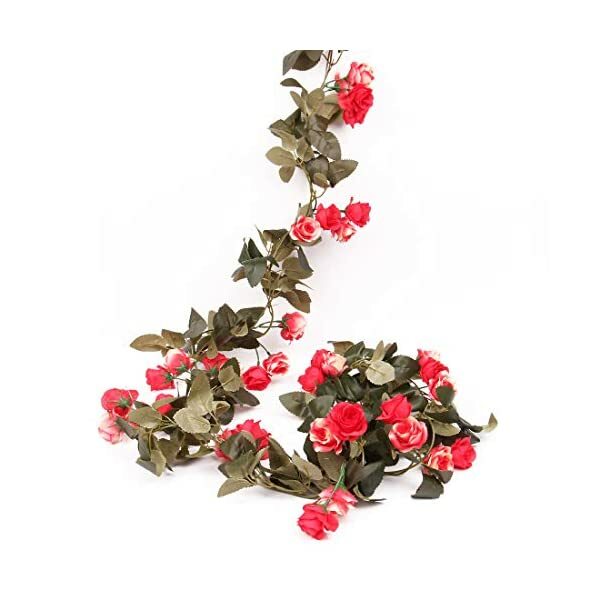 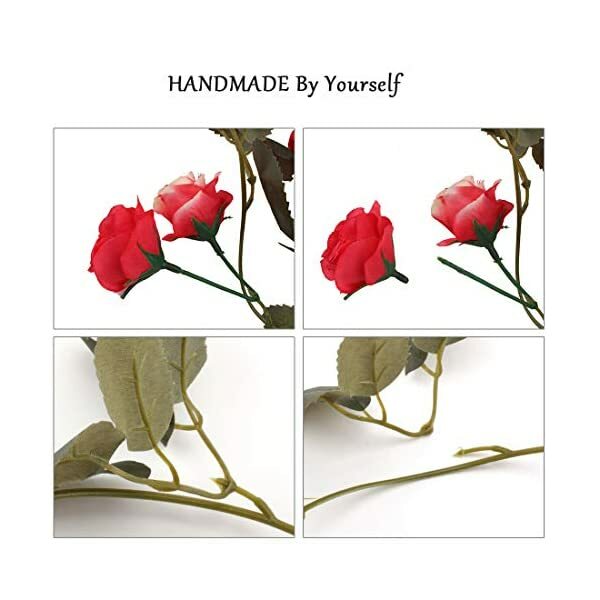 Materials:Rose Flower head made of Top quality Silk, plastic pole, inside with wire,flower middle wire rod, may also be bent shape or prune. 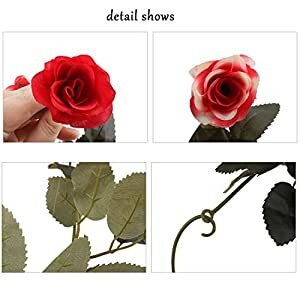 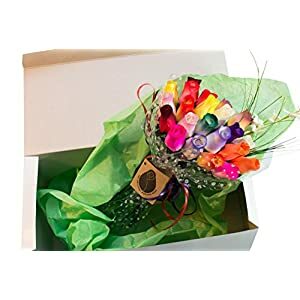 When you have question ,You’ll contact the Siyifloral service to test and solve your problem,Under the premise of not affecting sales, it may be returned within 7 days.